We offer a variety of robot accessories for Fisnar robots to enhance their capabilities. These accessories are “plug and play” with ADVANCE Series robots, and are also compatible with other Fisnar robots which have installed an upgrade kit. 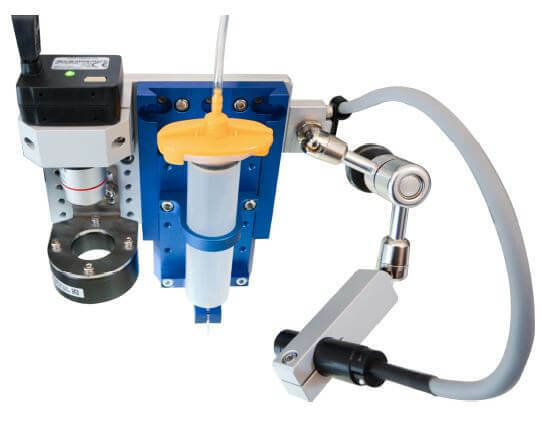 A robot dispensing tip alignment module is designed for dispensing applications which require dispense tip changes that could alter the fluid dispense position.